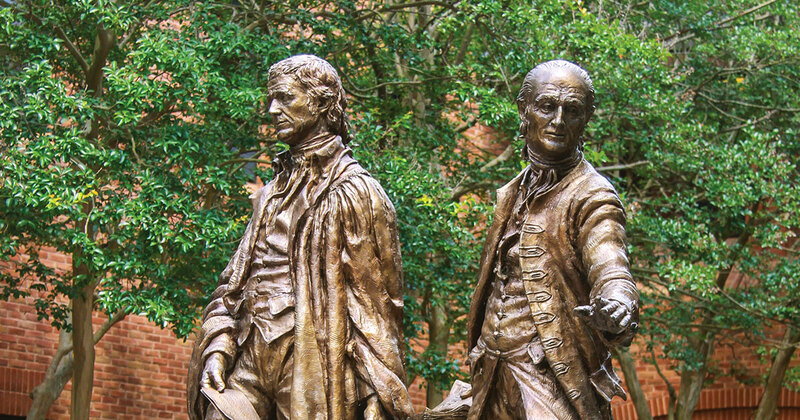 A distinguished faculty is the key component to the excellence of a William & Mary Law School education. Our faculty include nationally and internationally renowned scholars who are also talented teachers. Our full-time and visiting faculty members are experts in a wide range of legal issues. Adjunct professors, highly-respected practicing lawyers, bring a wealth of real-world perspective to practical writing and ethical studies. Our professors are frequently sought out by national media sources to provide opinions on current legal issues. They are also engaged in cutting-edge scholarship in a wide range of subject areas. Their biggest commitment is to their students—teaching not just the material, but also how to be a true citizen lawyer. Our students benefit from our faculty’s wealth of knowledge, as well as their friendly helpfulness and easy accessibility.